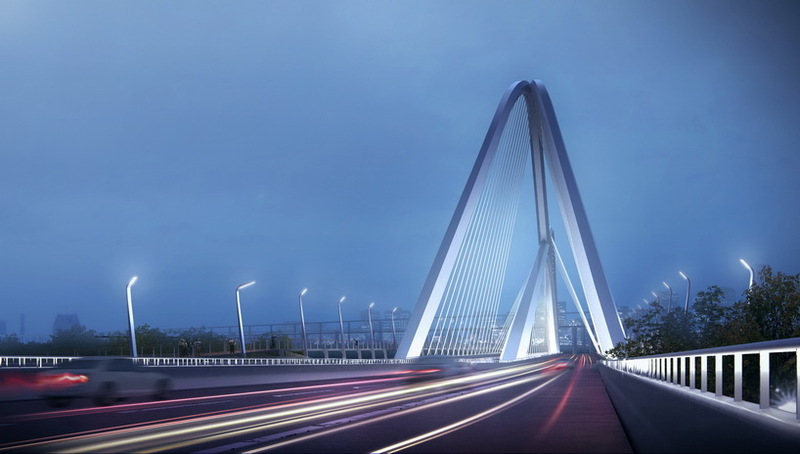 in collaboration with AND office, NAN architects has envisioned the nanjing chengtian bridge to span across the qinhuai river bank in china. 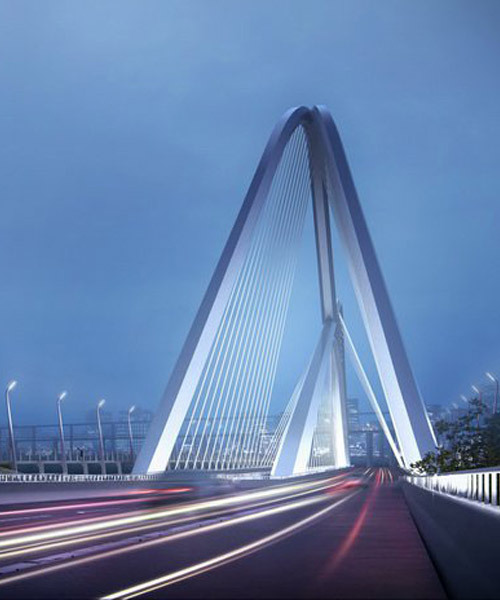 the project, which is currently under construction, intends to form an important connection between the north and south of nanjing, while also creating a gateway and impressive landmark. 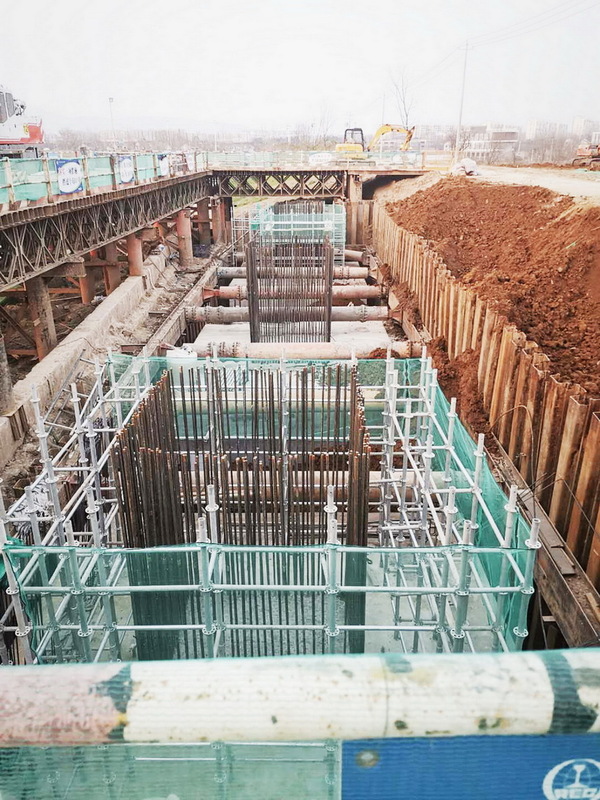 the structure will link the beijing-shanghai high-speed railway, which passes through the south side, with the city-belt highway to the north. 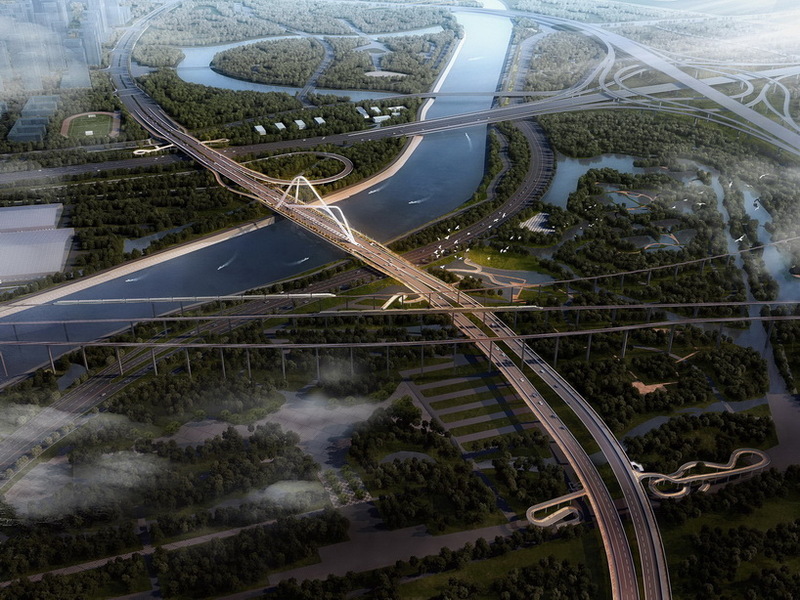 when designing the bridge, NAN has been inspired by the outline of four mountains which surround nanjing’s southern new town. 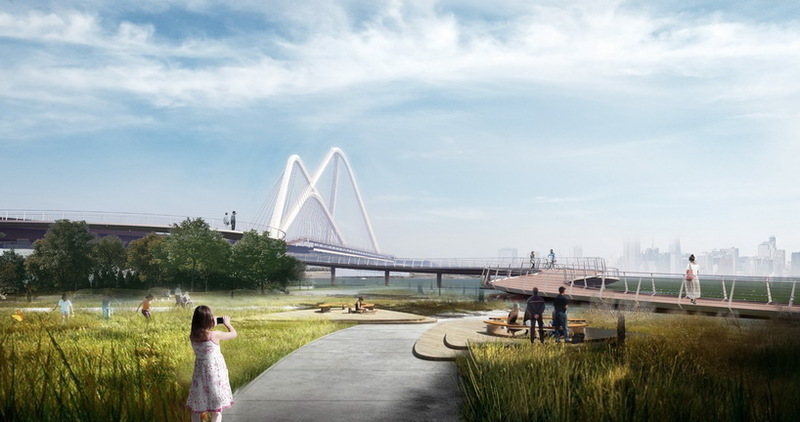 the four triangular arches that form the structure symbolize these peaks, creating a striking image against the landscape, and from afar appearing as part of the landscape itself, floating on the river. 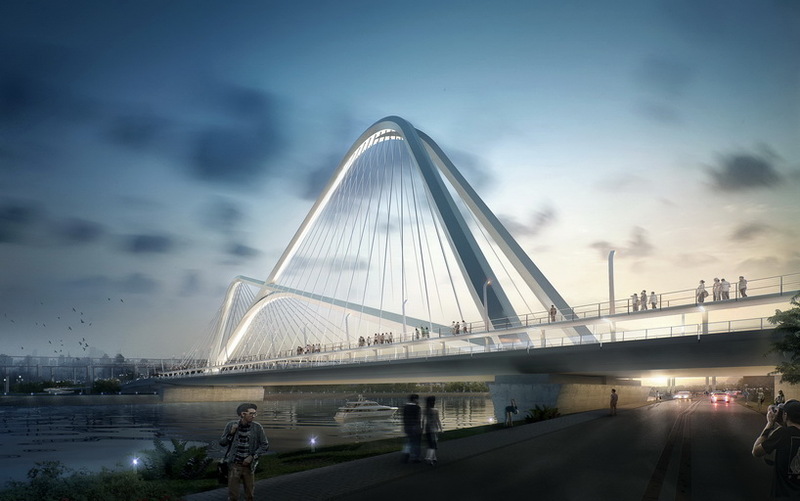 the outline of the bridge aims to create an extension of the city’s dynamic skyline, adding a new climax to the urban landscape. 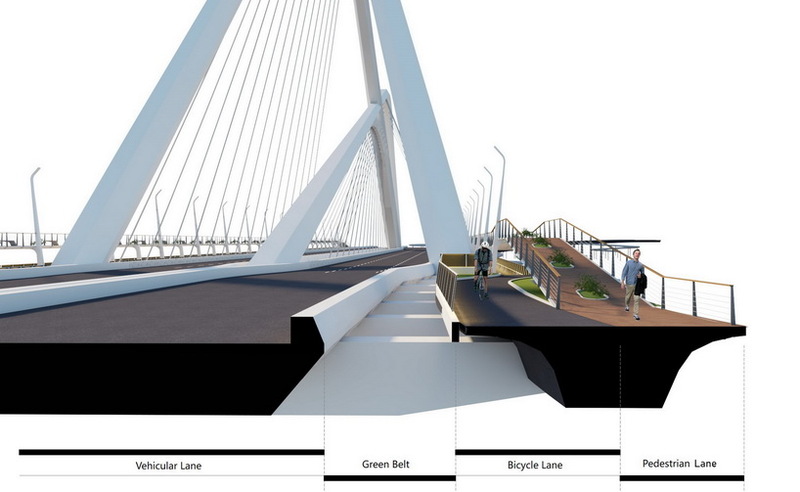 the bridge has been imagined for motorists, cyclists and pedestrians alike. 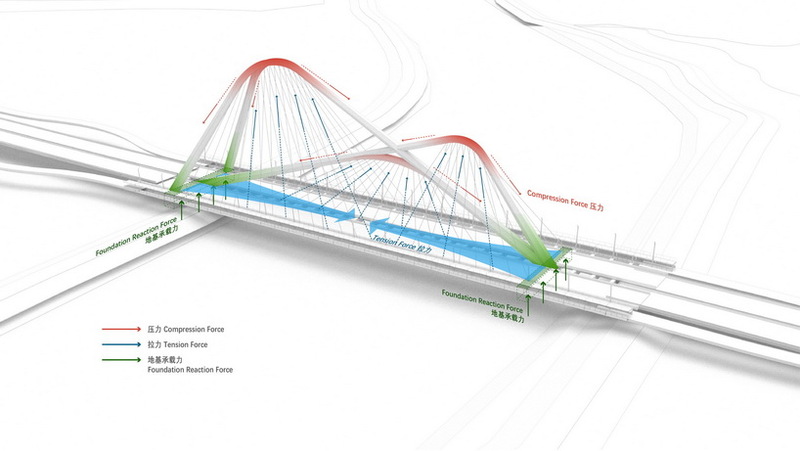 to accommodate this and ensure the safety of all its users, the structure has been designed with a ‘double-layer’ to separate pedestrians and vehicles. 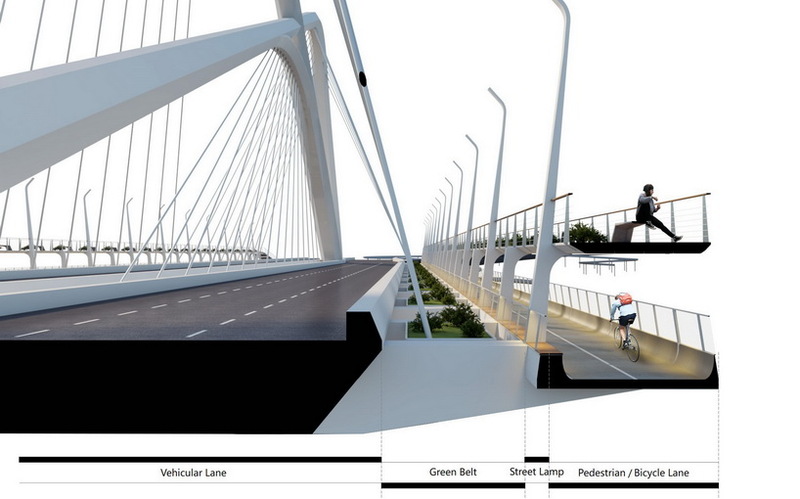 the ‘pedestrian lane’ also creates a place for people to spend time and enjoy the scenery of the qinhuai river. 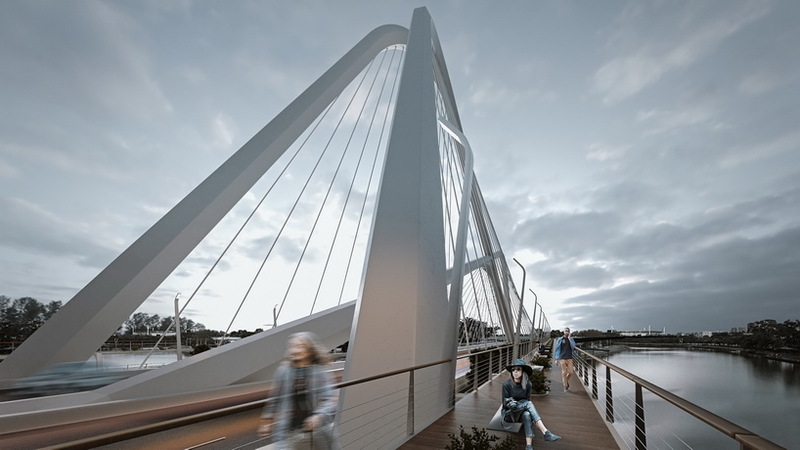 in essence, the bridge intends to not only connect the two parts of the city separated by the river, but also to form a beautiful structure that becomes an extension of the landscape. 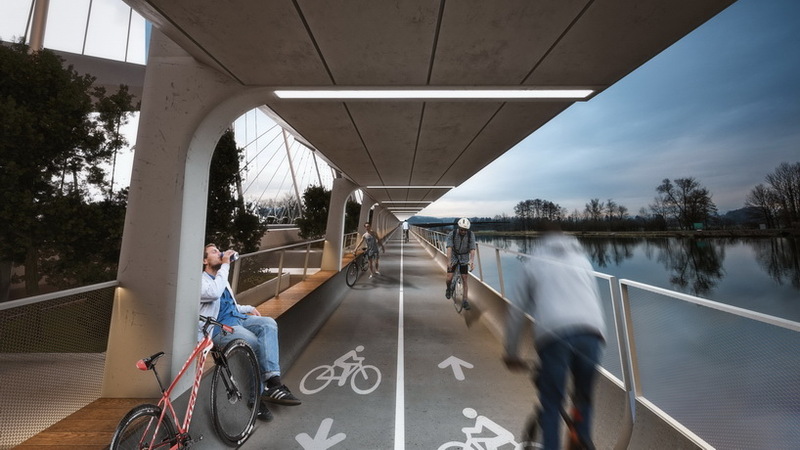 the 1.3km steel structure will provide a safe place for cyclists and pedstrians, in addition to a linear park, where people can take in the surroundings. 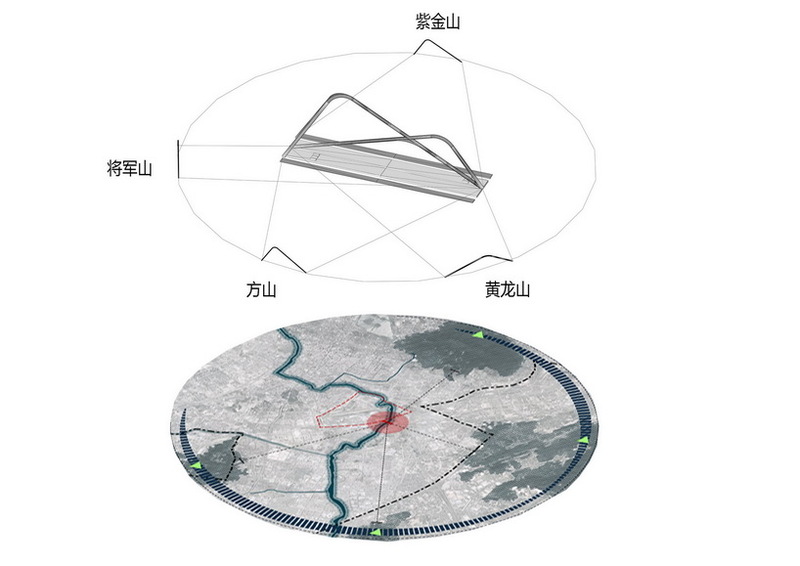 executive architect: railway engineering consulting group co.,ltd.